Wow! I was just searching the internet for some examples of weathered ivory pieces when I saw your amazing work. 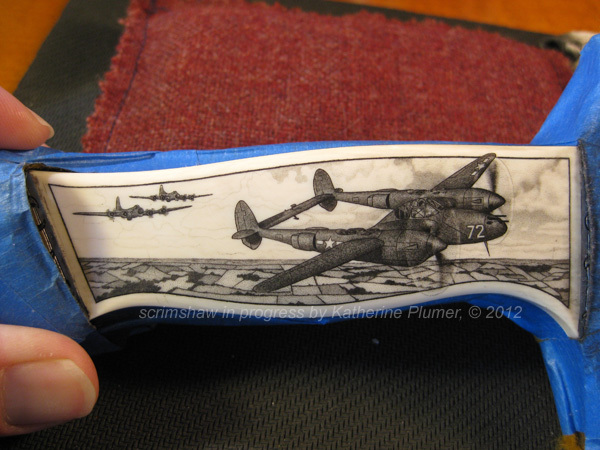 The bee pendant is so beautiful and the WWII "airscape" you just finished is astounding. Thank you for sharing your work! How does one buy your art?